A professional is only as good as their tools, and that goes double for those who work in Internet- or tech-based jobs. With a host of online apps at your literal fingertips, you have a number of options for any given task. But the tool which can help some professionals the most, and which can have the broadest application to both the business and personal aspects of your life, is the file-sharing site Dropbox. Dropbox has become one of the most essential and popular sharing apps in the modern world, if not the most universal. This means that, no matter what you do, and even if neither you nor your clients work in the fields specified below, you are likely to be working with someone who has a Dropbox account. Also, Dropbox has very few limitations. You can have just about anything in your Dropbox, from music, to videos, to html web pages, and more. This versatility also makes Dropbox suitable for a number of complex tasks, from being a photo gallery to hosting a simple website 3 Unique & Creative Uses For Dropbox Accounts 3 Unique & Creative Uses For Dropbox Accounts There is no end to just how useful Dropbox is, and it's no secret how much all of us here at MakeUseOf love the service they provide. You'd think it couldn't get much better than... Read More . Dropbox also has a user-friendly API available that makes it very easy for third-party developers to create and integrate helpful apps for Dropbox users. Dropbox boasts a robust library of apps, several designed to help professional coders, designers, artists, and other geeks who get paid to do what they love. Here are a few of the different tools and third-party programs you can use to make your geeky work easier. A Little Disclaimer: These are not the only geeky jobs in the world. But they represent a cross-section of both Dropbox uses and the amount of third-party applications that can help geeks around the world. 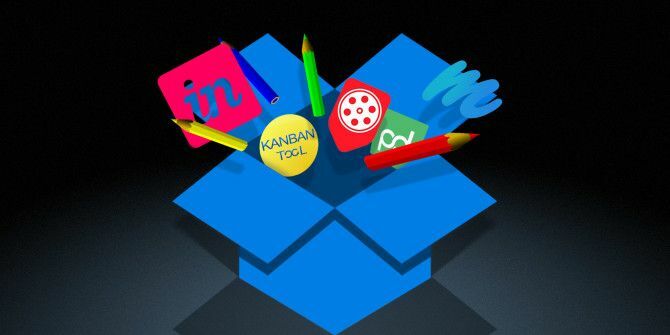 Now, let’s explore a few geeky professions where anyone can benefit creatively by using Dropbox. Putting a podcast on the web can be expensive and complicated. If you want archived episodes to be available, you usually pay to have the audio files hosted somewhere. 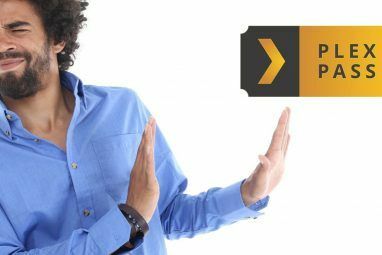 This can be difficult, especially if you want to offer your podcast for free or do not want your listeners to go through a third-party’s software to find your audio. But Dropbox can be the perfect free site Can't Afford Podcast Hosting? Try These Free Alternatives Can't Afford Podcast Hosting? Try These Free Alternatives If your podcast is outgrowing the space on your blog, the time has probably come to find a new home for it. Give your podcast some room to grow with these free podcast hosts. Read More for hosting your podcast. Depending on the size of your account, you can have multiple episodes available in a public folder for your listeners to download. The program JustCast gives you the ability to publish a podcast to your own website and iTunes, as well as your own RSS feed that you can customize for each episode. It also offers statistics on your episodes and who downloads them. JustCast is fully integrated into Dropbox and creates its own folder, meaning that all you need to do is upload your podcast to Dropbox and it will instantly be available to your listeners. So you want to start working with a team on a web design project, or you are developing an app for a client. How can your humble Dropbox account help you? There are a number of excellent collaboration tools Simplify Your Design Workflow With These 6 Collaboration Tools Simplify Your Design Workflow With These 6 Collaboration Tools Iterating through designs is a time-consuming process. These collaboration tools will help ease up those bottlenecks and get your work done in record time. Read More available online. InVision certainly tops the list with its plethora of real-time interaction features and feedback options. But it’s a real powerhouse for those who have a Dropbox account, as it is integrated with Dropbox for Business. Marvel is a similar collaboration and prototype tool that lets you share your projects with a team, and also boasts Dropbox integration. It has a number of features to make presenting and designing your project easier and more fun, including the ability to present it from an Apple Watch, which is one more reason to like the Watch How The Apple Watch Won Me Over How The Apple Watch Won Me Over When Apple announced their latest gadget, I wasn't entirely impressed. I ignored the hype, disregarded the reviews, and didn't pre-order one for myself. Obviously, I caved. Read More . A Dropbox account by itself might not be the best place to host a video, given the size limitations of each account. But Vimeo is a great alternative to YouTube, and surpasses it in privacy settings The 4 Best Sites for Sharing Private Home Videos With Family and Friends The 4 Best Sites for Sharing Private Home Videos With Family and Friends You can always share videos online with the entire world. But these four top sites help you share videos privately on the internet. Read More . It can be a great place for showing off edited videos and presentations, especially those that you only want to share with a select number of people, and you can upload videos to it directly from Dropbox. For simplistic-yet-efficient video editing, it doesn’t get much better than WeVideo. It’s a reliable in-browser editor 3 Ways To Do Video Editing From Within Chrome 3 Ways To Do Video Editing From Within Chrome If you're on a budget and need free video editing options, look no further than these three Chrome apps, compatible with both your browser and Chrome OS. Read More , free, and usable by both novices and experts. 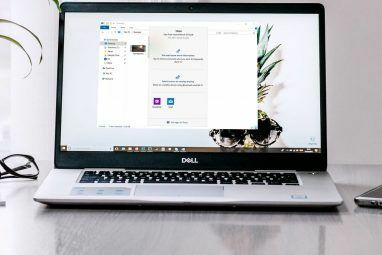 It can also be integrated to your Dropbox account, meaning you can put your video files into Dropbox, bring them over to WeVideo to be edited, and then put them back into Dropbox to be uploaded to Vimeo. Also, if you’re part of a team and want to have a format where others can comment on your videos easily, you might want to look into Remark. It’s a tool that allows others to leave timestamped comments on your video, among other flexible options. Be forewarned, though: If you want to use it with Dropbox and Vimeo, you must pay for a Pro plan. Startup companies and their new innovations are a backbone of the Internet, and online entrepreneurs have never had more options and tools available to them. Dropbox itself originated with a startup company and two people, so it makes sense that so many Dropbox apps are useful for those running startups. For those who want to manage their business and team members more easily, especially when it concerns large projects, the Kanban Tool can be invaluable. Not only does it provide complex worksheets and analytics on your progress, but it also integrates Dropbox in its task attachment feature. If your business or startup is based largely around online documentation, it goes without saying that file-sharing and cloud storage alone will make Dropbox appealing. With PandaDoc, you can also share all kinds of client-oriented documents, including contract and sales forms. PandaDoc also gives you the option of incorporating electronic signatures, with the sensitive documents safely stored in your Dropbox. When you want to put your own site on the web, but don’t want to go through a host, it is possible to do so yourself directly from your Dropbox account via a public folder and HTML pages. There are also a number of site-building platforms How To Host a Simple Website Using Dropbox How To Host a Simple Website Using Dropbox If you're looking to create a simple website, but don't want to spring for hosting, you probably already know how challenging it can be to find free and decent hosting. One possible option to look... Read More to help you capitalize on this simplicity. Another one to consider is Sitebox.io, which makes editing your simple site somewhat more intuitive, and offers tags that will allow you to add images and columns. Also, for anyone who want to make their web publishing easier, the Harp.io platform for Dropbox is one of the fastest on the web. Publishing can be done with just one button and one Dropbox folder. The potential uses for Dropbox are almost endless, and it can be used in almost every conceivable kind of geeky business. In the video below, listen to a few filmmakers and their ideas for Dropbox. Dropbox also gives you a handy PDF guide with lots of creative tips. Most of them can be applied to other geeky uses easily. Has Dropbox helped you in your profession? 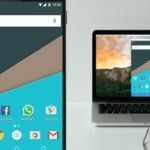 Which third-party apps do you find most useful? Let us know in the comments section below! Explore more about: Cloud Storage, Creativity, Dropbox, File Sharing.